Rinkmenos SVG peržiūros PNG dydisː 519 × 553 taškų. Kitos 5 rezoliucijos: 225 × 240 taškų | 450 × 480 taškų | 563 × 600 taškų | 721 × 768 taškų | 961 × 1 024 taškų. This is a retouched picture, which means that it has been digitally altered from its original version. Modifications: Redrawn as vector image - shading removed. 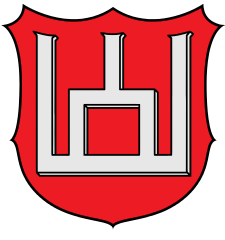 The original can be viewed here: COA of Gediminaičiai dynasty Lithuania.png. Modifications made by Begoon.